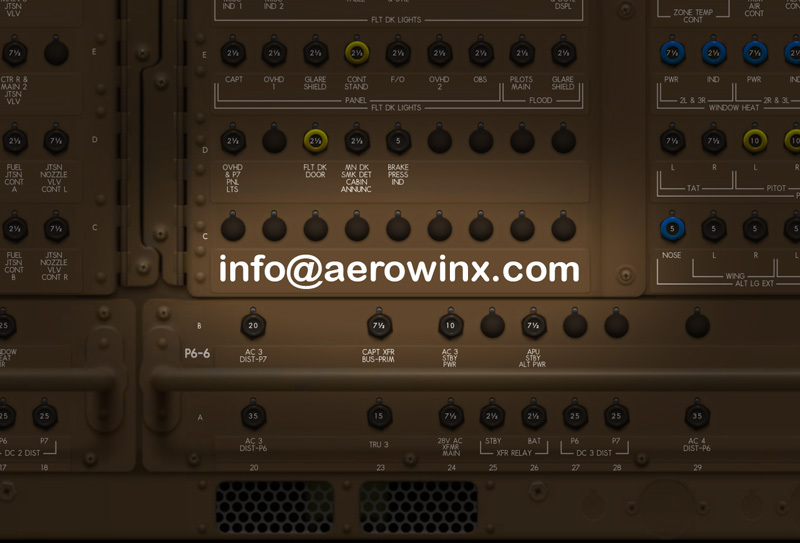 not sure what's wrong but I'm getting an error message on start which is asking me to double-click on AerowinxStart.jar. This happens once the sim gets to 31% loaded. I tried rolling back to the previous update but still got the same error. I reinstalled form disc and then downloaded the latest aerowinx.jar 10.45 from this thread but still get the same message. Read here how to upload an image. this has nothing to do with the update. I know the yellow reminder; I created it. • You start with Aerowinx.jar instead of AerowinxStart.jar (or AerowinxNetStart.jar). • Or you don't have enough memory. • Or your sound system is not intact. Thanks for the quick response gentlemen. Will look into the memory angle - I disturbed the RAM a little while ago while getting the PC running again after a long break - maybe that's it. The RAM is secure in its slots and the system reports 8gb. I've been running PSX with P3Dv4 on this system, so I know it can cope. I ran Heaven DX11 benchmark test and I'm getting 50fps with reasonably high settings. I explain the above to show that I think the PC and systems are performing as before. I can run P3Dv4 quite happily too. One extra thing - PSX is telling me my USB joystick etc. are not connected - but they are. Which version is on the DVD? 10.0.0 or 10.1.7? What did you change in your system since you successfully started PSX the last time? Trying to think - I'm not entirely sure I've changed anything - I installed some free trial scenery of Tasmania from Orbx, but flew a successful sortie after that. In fact, I switched off the PC after that flight, and switched on again this morning to do another. not sure anything had changed. All solved - I reinstalled java and it's now fine. Not sure why java failed in the first place but no worries it's all working. Thanks for the prompt help and advice gents.